Chase Sapphire Reserve Worth It? You can redeem your rewards points 50% more for travel. There is no foreign transaction fee. It will be useful if you visit abroad and if you purchase from other countries. 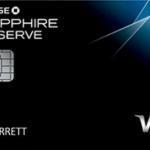 Chase Sapphire Reserve is a good card for travel and travel bonuses, however it is not that good for daily purchases. If you travel often, we can recommend this card. 3x travel and dining rewards rate is good. You are going to get $300 annual bonus for travel. 50000 sign-up bonus is good. 5% Cash Advance Fee and Balance Transfer Fee is high. Interest rates for purchase, balance transfer and cash advance are high. $450 annual fee is too much. The card is limited with travel. If you don't travel very often, this card won't going to provide any benefit to you. 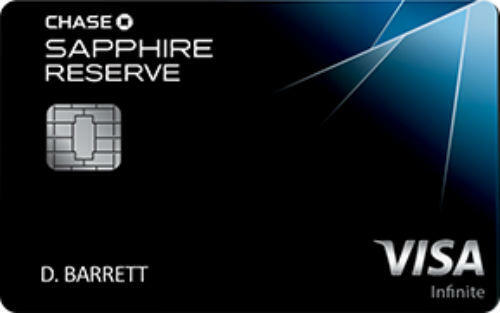 Chase Sapphire Reserve is one of the best cards of the Chase. It is designed as a travel credit card. The card has no foreign transaction fee and there are good rewards points rates for travel. However the annual fee of the card is too high when we even compare it with similar cards. Cash Advance APR, Balance Transfer APR and Purchase APR is high as well. Interest rates and annual fee is making card unprofitable. Of course consumer is not going to be the winner side, but Chase Sapphire Reserve is a little bit expensive when it is compared with other cards in travel category. After the first year, the card can get expensive more. Why? You are not going to get bonus rewards points next year. Minimum 18% APR (Purchase and Balance) is too high for a consumer with excellent credit score. Maximum 25% APR is also high for consumers as well. When you pay annual fee $450, this is equal to rewards points which you can get with $15000 purchase on travel and dining or $45000 on other categories. Annual $300 travel credits is the upside of this. However you will still lose much money with current interest rates and other fees of the card. 5% payment for each balance transfers and cash advances is a high rate. Our recommended rate is 3%-4% for both fees. There is no foreign transaction fee for the card and this is a good advantage for you if you travel abroad. 17.99% – 24.99% 3x Rewards Points to travel and dining. 1x Rewards Points to rest of purchases. You can read some users reviews of Chase Sapphire Reserve below.